Harpswell, ME Engine 5- 2017 Freightliner/E-One 1500/? Albion, Maine Fire Department- has been awarded a Federal grant in the amount of $20,457 for a Firefighter Accountability System, which is part of a Regional Grant to be shared by 6 departments. Anson, Madison, Starks Emergency Services Inc. (Anson, Maine)- has received a Federal grant in the amount of $97,098 for 3 Cardiac Monitors. Anson, Maine Fire Department- has been awarded a Federal grant in the amount of $162,381 for 20 - Breathing Apparatus and an Air Compressor – Air Refill System. Arundel, Maine Fire Department- a drunk driver crashed into the side of the fire station on May 25th. The driver was extricated and transported to the hospital. Damage to the building is estimated at $50,000. Augusta, Maine Fire Department- new station nears completion. CLICK FOR ARTICLE. Augusta, Maine Fire Department- expansion/renovation of fire station begins. CLICK FOR ARTICLE. Bangor, Maine Fire Department- Stephen and Tabitha King donate money so department can purchase thermal imager. CLICK FOR ARTICLE. Biddeford, Maine Fire Department- Future of Hills Beach Fire Station to be determined. CLICK FOR ARTICLE. Bucksport, Maine Fire Department- receives grant to hire firefighters. CLICK FOR ARTICLE. Casco, Maine Fire Department has been awarded a Federal grant in the amount of $183,667 for 29 - Firefighter Breathing Apparatus. Chelsea, Maine Fire Department has been awarded a Federal grant in the amount of $19,810 for 2 – Thermal Imaging Cameras. China, Maine Fire Department- struggles with shortage of volunteers. CLICK FOR ARTICLE. Clinton, Maine Fire Department- Fire Chief Gary Petley will retire on March 31st after 40 years of service. Corinth, Maine Fire Department- has placed into service a 2008 Chevy/Lifeline ambulance as Ambulance 209. This unit previously served Yarmouth, Mass. Damariscotta, Maine Fire Department- has been awarded a Federal grant in the amount of $36,262 for Vehicle Extrication Equipment. Dedham-Lucerne, Maine Fire Department- hires new full time firefighter. CLICK FOR ARTICLE. Dexter, Maine Fire Department- Engine 472's E-One pumper has returned to the department after being refurbished by Greenwood Emergency Vehicles. Dresden, Maine Fire Department- has named former fire chief Gerald Lilly as Interim Assistant Fire Chief. Dresden, Maine Fire Department- has named Gerald Lilly Sr as Assistant Fire Chief. Eddington, Maine Fire Department has been awarded a Federal grant in the amount of $10,910 for Training. Eddington, Maine Fire Department– has received a Federal grant in the amount of $20,000 for Firefighter Rehab Equipment. Ellsworth, Maine Fire Department- swears in new members. CLICK FOR ARTICLE. Ellsworth, Maine Fire Department- returns donated fire truck. CLICK FOR ARTICLE. Farmington, Maine Fire Department- town purchases land for new fire station. CLICK FOR ARTICLE. Frenchville, Maine Fire Department- has named Peter Parent as the new Fire Chief. Fryeburg, Maine Fire Department- 2 members celebrate 70 years with the department. CLICK FOR ARTICLE. Fryeburg, Maine Fire Department has been awarded a Federal grant in the amount of $230,101 for Firefighter Protective Turnout Gear, Firefighter Breathing Apparatus, and Training. Hallowell, Maine Fire Department- councilors vote to keep fire department. CLICK FOR ARTICLE. Hallowell and Farmingdale, Maine Fire Departments- to build joint fire station on town line. CLICK FOR ARTICLE. Hallowell, Maine Fire Department- has named James Owens as Interim Fire Chief. Hallowell, Maine Fire Department- council votes to keep fire department and lease space at Farmingdale's new fire station. CLICK FOR ARTICLE. Hallowell, Maine Fire Department- town to reconsider fire station decision after petition signatures validated. CLICK FOR ARTICLE. Hallowell, Maine Fire Department- anonymous donor pledges $1 million towards new fire station. CLICK FOR ARTICLE. Hallowell, Maine Fire Department- reverses decision to move emergency services to Farmingdale. CLICK FOR ARTICLE. Hallowell, ME Fire Department- has reached an agreement to build a new fire station using up to $1 million in donated funds. It will be built a the site of the current fire station. Hallowell, Maine Fire Department- plans for new station move forward. CLICK FOR ARTICLE. Lebanon, Maine Fire Department- fire station falling apart. CLICK FOR ARTICLE. Lebanon, Maine Fire/EMS- announce promotions. CLICK FOR ARTICLE. Lewiston, Maine Fire Department- study says substations should be replaced. CLICK FOR ARTICLE. Lewiston, Maine Fire Department- Fire Chief Paul LeClair has retired after 36 years of service. Lewiston, Maine Fire Department- has appointed Topsham Fire Chief Brian Stockdale as the new Lewiston Fire Chief. LifeFlight of Maine- has placed into service a 2017 Agusta 109SP twin-engine helicopter as LifeFlight 2. The helicopter previously assigned as LifeFlight 2 has been reassigned as LifeFlight 4 and moved to the Sanford Seacoast Regional Airport. Lincoln County, Maine- launches new communications system. CLICK FOR ARTICLE. Lincolnville, Maine Fire Department- has appointed Steve Gibbons as the new Fire Chief. Linneus, Maine Fire Department- has acquired a 2000 Spartan Gladiator/Marion 1250/500. The unit was donated to the department by the Middletown, CT Fire District. Livermore Falls, Maine Fire Department- has acquired a 1996 KME 1250/750/50F 4X4 pumper that had previously served the Hanscom Air Force Base in Massachusetts. The department also has approved funds to renovate the fire station. Maine- 3 island fire department may share 2 daytime firefighters. CLICK FOR ARTICLE. Maine Firefighting Academy- has received a Federal grant in the amount of $349,143 for Vehicle Extrication Equipment for firefighter training purposes. Manchester, Connecticut Fire Department- Battalion Chief Dan Huppe has retired after 34 years of service. Mexico, Maine Fire Department- town way named after late fire chief. CLICK FOR ARTICLE. Naples, Maine Fire Department– has received a Federal Regional grant in the amount of $107,210 for Vehicle Extrication Equipment. Oakland, Maine Fire Department has been awarded a Federal grant in the amount of $130,096 for 20 - Firefighter Breathing Apparatus. New Sharon, Maine Fire Department- voters rejected a request for $1.8 million dollars to construct a new fire station and town office. Residents who voted against the proposal cited struggles to pay bills and not being able to afford a tax increase. Newburgh, Maine Fire Department- entire volunteer force quits. CLICK FOR ARTICLE. Newburgh, Maine Vol Fire Department- back in operation after mass resignations. CLICK FOR ARTICLE. Oakland, Maine Fire Department- moves forward with new fire station design. CLICK FOR ARTICLE. Old Town, Maine Fire Department- 100 year old fire truck returns home. CLICK FOR ARTICLE. Paris, Maine Fire Department- set to lay off all 18 per-diem members. CLICK FOR ARTICLE. Pittston, Maine Fire Department- has broken ground on the new fire station on Route 194 in East Pittston. Plymouth, Maine Fire Department- has received a Federal grant in the amount of $172,006 for 10 – Breathing Apparatus, 22 – Sets of PPE, RIT Pack, Thermal Imaging Camera, PPE Washer/Dryer, Mobile Generator, Vehicle Extrication Equipment, Accountability System and Nozzles. Portland, Maine Fire Department- has placed into service a 1980 Mack MC 1000/750 (ex Windham) as Engine 314. It replaces a 1988 Ford F-350/1978 Saulsbury. Portland, Maine Fire Department- North Deering Fire Station damaged in fire. CLICK FOR ARTICLE. Presque Isle, Maine Fire Department- ambulance service taken over by fire department. CLICK FOR ARTICLE. Rockland, Maine Fire Department- has appointed Max Negley as their newest Firefighter. St. Agatha, Maine Fire Department– has received a Federal grant in the amount of $24,977 for Fire Hose, Flashlights, and a Thermal Imaging Camera. St. Albans, Maine Fire Department- has begun the process of building a new fire station after accepting a land donation and some funds required for the station. The town hopes to apply for grants that will cover part of the station costs. Sanford, Maine Fire Department- pumper damaged in motor vehicle accident. No injuries were reported. CLICK FOR ARTICLE. Scarborough, Maine- to keep dispatch duties in house. CLICK FOR ARTICLE. Searsmont, Maine Fire Department- town meeting has changed the fire chief's position from being an elected position to an appointed one. South Portland, Maine Fire Department- Ladder 45's 2003 E-One Cyclone Quint has been removed from service and will be disposed of due to frame issues. Until a new truck can be purchased, Ladder 41's 1996 Pierce 100' Rear-Mount Tower will be running as Ladder 45. Van Buren, Maine Fire Department– has received a Federal grant in the amount of $20,505 for 2 – Thermal Imaging Cameras. Wells, Maine Fire Department- Wells have approved a $14.25 million dollar bond to replace the 3 current fire stations with 2 new stations and build a new Police Station. The new police station and Wells Corner fire station will be built at the site of the current police and fire stations at Routes 1 and 109. A new fire station will be built on Sanford Rd replacing the current Wells Branch and High Pine fire stations. Construction is expected to begin in 2018. Wilton, Maine Fire Department- will store rescue truck for Livermore Falls. CLICK FOR ARTICLE. Windsor, Maine Fire Department- has purchased a 2003 International/KME rescue that previously served Woodsbury, MD. Winthrop, Maine Fire Department- council accepts bid for new fire station. CLICK FOR ARTICLE. 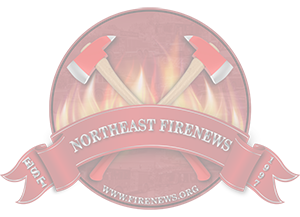 Winthrop, Maine Fire Department- new station expected to open in May. CLICK FOR ARTICLE.